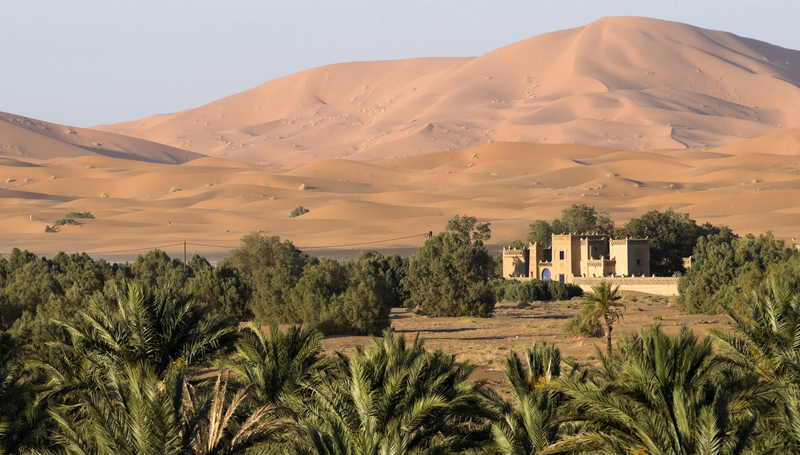 Home to bustling medinas and awe-inspiring monuments, Northern Africa is pure romance at the doorstep of the sweeping Saharan desert. Traders have long journeyed to Morocco in search of all things covetable in its souks and travelers to Egypt to witness the early ingenuity of humankind. 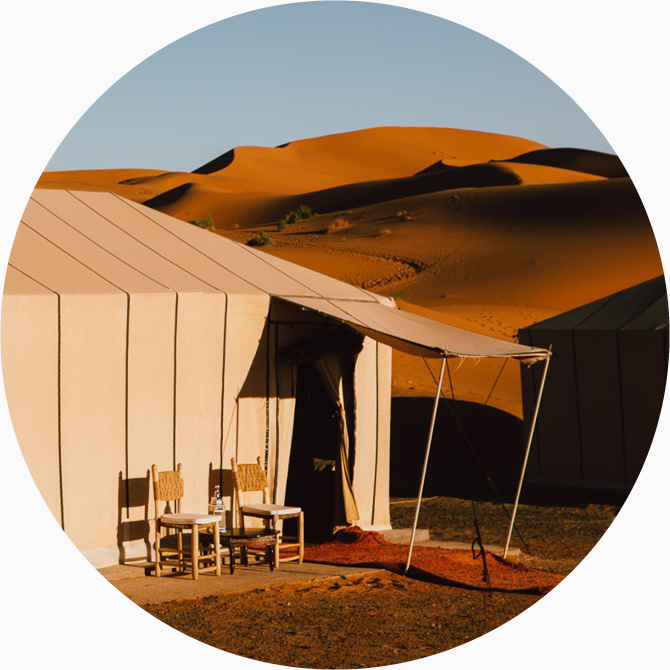 There are few experiences more expectant than waking in a tent pitched in dunes at the foot of the Atlas Mountains, more glamorously bohemian than sipping mint tea in a riad in Marrakesh, or as restful as sailing down the Nile in a felucca. 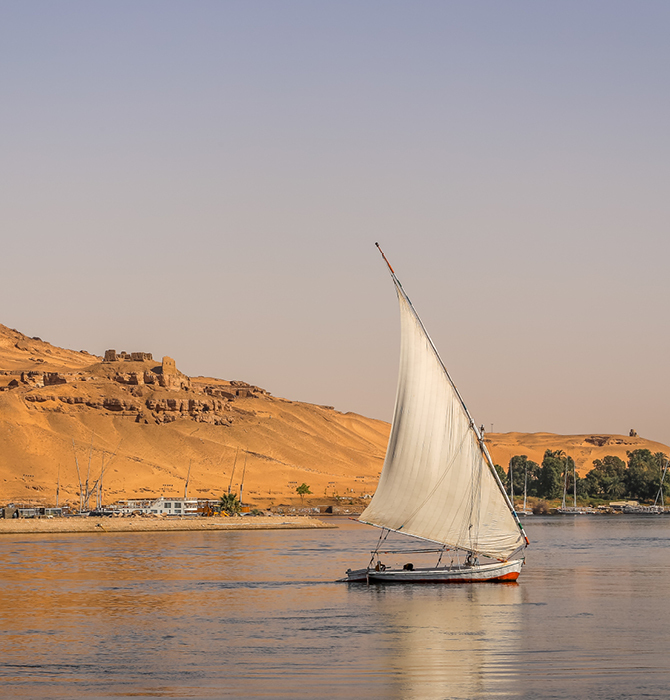 Travel along the Nile past banana fields, palm plantations and ancient villages in a restored 19th-century dahabiya with fully catered cabins. The private voyage takes you to a number of otherwise off-limits archaeological sites along the river’s banks. Carved into a hillside gorge near Luxor, the Valley of the Queens was the burial place for the wives of pharaohs. Here, an expert guide leads you through its many chambers, including its most famous tomb, that of Nefertari, which is normally closed to the public. Its vividly preserved murals depict her journey into the afterlife among falcon and heron deities. Egypt’s former capital for a thousand years, Alexandria remains its primary window to the Mediterranean. Visit the Catacombs of Kom El Shoqafa, which showcase the city’s hallmark fusion of Pharaonic and Greek styles, and the Citadel of Qaitbay, a fortress built on the site of the great Pharos Lighthouse. 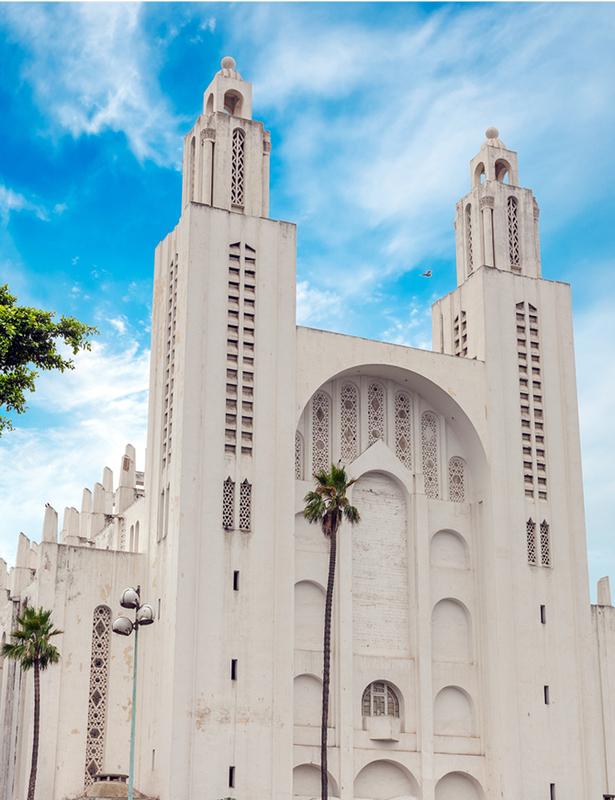 See the uniquely Moroccan art deco villas, theaters, hotels and churches of downtown Casablanca’s boulevards and plazas. 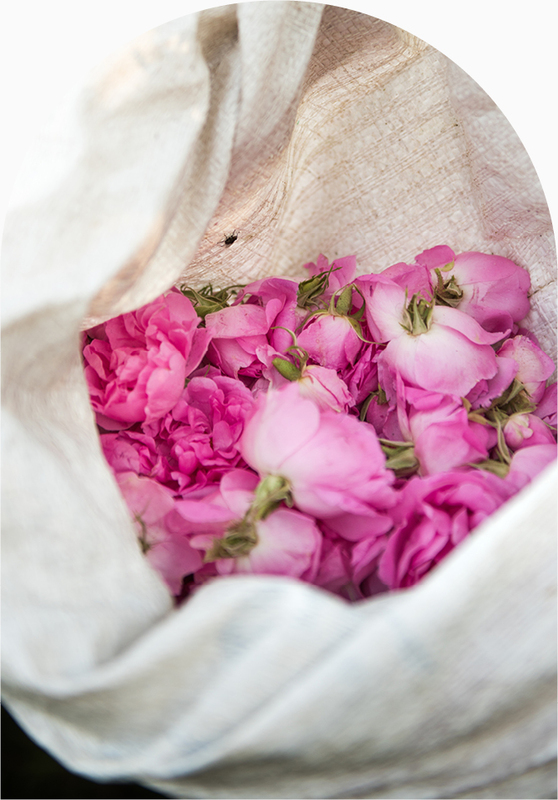 Celebrate the year’s harvest at the Morocco Rose Festival in El Kelaa M’Gouna, the “Valley of Roses,” and stay in a 200-year-old kasbah. Explore the faded bohemia of Tangier’s rambling gardens and tiled interiors. Located on the northern tip of Morocco, the seaside city is a crossroads to Europe that artists and writers flocked to from the 1920s to 1950s. It retains a raffish appeal in colonial-era neighborhoods with long boulevards and a centuries’-old Moorish medina. Head inland to Chefchaouen, whose electric-blue riads, mosques and houses stand in stark relief to the arid Rif Mountains. Its cultural legacy includes Berber tribespeople, Muslims, and Jews who fled the Spanish Inquisition. Meet craftspeople of hand-woven rugs, brass teapots and decorative pottery, and Berber artisans of ironwork and textiles. 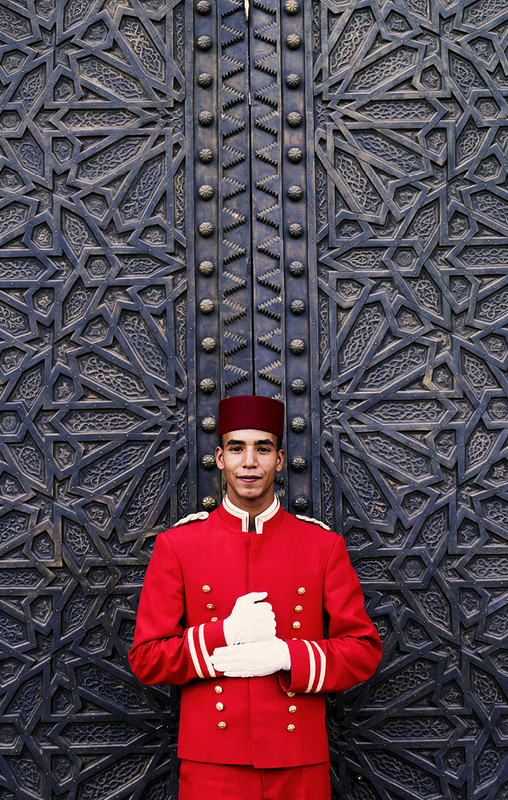 Further south lies Fez, Morocco’s spiritual and cultural capital. Explore the walled old city and hear the call to prayer rolling through the surrounding valley. Its busy souks contain stall holders tending to bunches of mint, wild artichokes and rose water, and Fassi pastries filled with spiced meats and almonds. Our regional and cultural experts design bespoke travel itineraries to match our members’ interests. We take care of the logistics, unlock access to unique experiences, and provide 24/7 support while you travel. Whatever inspires your imagination, contact one of our Travel Designers to bring your ideas to life. Thank you for your interest in Northern Africa. Please enter your details below and our travel team will be in touch to start planning your trip shortly.